We all know and understand the importance of a well-run and well-maintained mailing list. As a musician, you’re always working at getting people out to shows, and a mailing list can have a huge impact on your attendance. If you ever decide to run a crowdfunding campaign, you’ll need a mailing list. If you want to push a new video or single out, you’ll want a mailing list. There are numerous platforms out there you can use to manage your list, but to me it comes down to two. 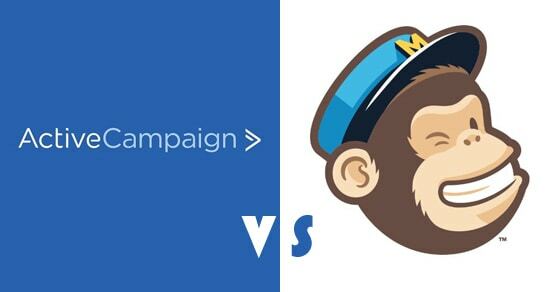 ActiveCampaign and MailChimp are two of the most widely used services, so I’ll be comparing and contrasting them throughout this guide. As a musician, I think both provide great value, but the one you choose will depend on how you feel about the below. That said, at the end I’ll also let you know which I personally feel is the best option. Here’s my breakdown of the two services. Once you’ve read the below, be sure to check out how to build your list as a musician. What Is The Best Option For Musicians Starting Out? Since price is generally the first consideration for musicians, I figured I would start there. It’s “free”, so that’s great. Pretty much everyone starts out with MailChimp because it’s free to use, and if you have under 2,000 subscribers, it works just fine. If you have over 2,000 subscribers, you’ll need to start paying for the service, and at this point you’ll probably want to anyway, because you can’t access any automation with the free version. Around the 2,500 subscriber mark, MailChimp costs $35/month. ActiveCampaign is paid right from the get go. They do offer a “lite” version, but in my opinion it’s not worth it, because you can’t use some of ActiveCampaign’s great automation features, custom branding, custom domain, etc. If you have 500 subscribers, the full price is $49/month, and the lite version is $9/month. If you have something in the range of 2,500 subscribers, it’s $78/month for the full “small business” version. 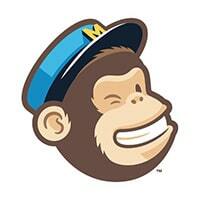 The winner: as far as price goes, MailChimp is the clear winner. With this in mind, once you have 2,000 subscribers, you have to pay for MailChimp, so it’s important to figure out what features you’re going to be using. For example, do you need automation? Automation enables you to keep in touch with your fans, even when you’re not sitting in front of your laptop creating campaigns. You can queue up as many campaigns as you want, and this is especially valuable for welcoming new subscribers. 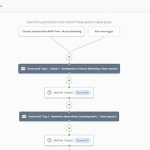 MailChimp’s automation abilities are not terribly complicated, which can be great for those of us who are not interested in learning how to automate email marketing. You can automate welcome messages, emails based on purchase data, or campaigns for an upcoming tour. For many of us, this may be all we need. But perhaps you’re something of a mailing list “power user”, in which case you might be looking for something more. ActiveCampaign is known for being endlessly customizable. You can create an unlimited number of automations based on a user’s actions. You can tag people based, export/import automations, create very in-depth re-engagement campaigns, etc. ActiveCampaign is truly a mailing list platform for the email marketing rockstar! The winner: If automation is your jam, you’ll want to go for ActiveCampaign. The possibilities are endless! If you’ve already been using MailChimp, it may be easier to just work with what you’ve got. You have to use what works for you. Some email marketing platforms are complex and hard to understand, while others are easy and straightforward. Ultimately, you won’t use a tool that causes you undue stress, so ease of use is kind of a big deal. Getting set up on MailChimp is easy. Their system is very easy to use, and the layout of the website is aesthetically pleasing. Adding people to lists, designing emails, sending emails, it’s all very quick and easy. As a musician, I appreciate the simplicity of MailChimp. I don’t have much time as it is, and I don’t really want to spend a lot of time creating emails. It’s not that ActiveCampaign is hard to use, it’s just not very easy. To get your head around all of the automation features takes a considerable amount of time. However, if you have the time and the expertise, you will find it to be an enjoyable process and ultimately a time-saver. The email designer is not nearly as easy to use as MailChimp’s. Something as simple as dragging pictures into the email is rendered more difficult with ActiveCampaign’s designer. The winner: MailChimp wins this round. From the get go, it’s easy to use and beautiful! What if you run into problems with your list? What if you have trouble sending out a campaign? What if there’s a feature that just isn’t working? Customer support is a big deal when you’re looking for solutions to your problems. Here’s a breakdown of how the two services fared. MailChimp does not have phone support or live video support. Instead, they offer a live chat support system, which they say “helps keep costs down”. As a user of MailChimp, I’ve found this to be satisfactory, mostly because I’ve never had any problems with MailChimp. They do offer quite a bit of documentation too. ActiveCampaign has over-the-top customer support. They provide one-on-one training for businesses, they have tons of free tutorial videos, they’ll even Skype you and help you work through any issues. For a platform as sophisticated as ActiveCampaign, I think it’s great that they have such in-depth customer support. When you’re just starting out, you’ll probably need it! The winner: ActiveCampaign takes it home as far as customer support goes. Here’s the thing. For businesses that are trying to move product and sell a service, you’re probably better off with the endlessly customizable ActiveCampaign. But as a musician, you’re more or less just trying to connect with fans! I principally use my mailing list to let fans know where I’m touring. It’s also great for crowdfunding, and hey, if you can sell some merch through your list, more power to you. 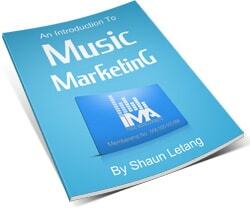 But your needs as a musician are really quite simple: send emails to lots of people quickly and easily. For a musician, I would recommend going with MailChimp, every time. My reasoning is this: you can start learning to use MailChimp for free. When you’re just starting out and have 100 subscribers, you really shouldn’t be paying for a service anyway. Using MailChimp is easy. I don’t want to spend more than 30 minutes writing, designing, and sending an email. I have stuff to do! MailChimp has always worked for me.